Heinrich Goerz: teacher, churchman, poet and amateur historian; born 31 August 1890 as one of five children of Franz Goerz and Sara (Unruh) Goerz in Schönsee, Molotschna settlement, South Russia. He married Anna Neufeld, daughter of Jakob Neufeld and Maria (Kaethler) Neufeld in 1952 in Vancouver and died 12 June 1972 in Vancouver, British Columbia. Heinrich Goerz was baptized in 1910 by Elder Heinrich Peters in the Schönsee Mennonite Church, where he also was elected as a minister in 1922. Heinrich attended school in Schönsee, the Halbstadt Zentralschule, and Realschule in Berdjansk from 1906 to 1910. From 1911 to 1914 he taught at the Memrik Colony. When he was called into service in 1914 he had to teach at a Russian agricultural school near the Ural Mountains. In 1917 he was allowed to return home and in 1918 helped establish a high school in the Memrik Colony, which soon was taken over by the Communist government. During the years of the Russian Revolution and the Makhno raids Heinrich and his family contracted typhoid fever and lost their father in 1922. After having been in prison two times Heinrich with his mother and two siblings immigrated to Manitoba, Canada in 1926, settling near St. Elizabeth. An attempt to become a farmer in Gruental, Manitoba failed. 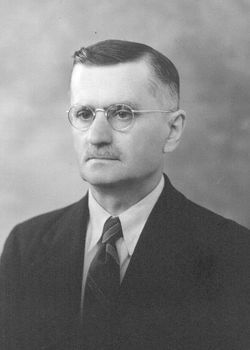 In 1928 and 1929 Heinrich studied English at the Mennonite Collegiate Institute in Gretna and completed his teacher training at the Normal School in Winnipeg in 1930. From 1931 until 1951 Heinrich Goerz taught in different public schools in Manitoba, as well as in a Hutterite colony. An invitation to join the Hutterites was rejected by Heinrich with the comment: "I would have suffocated in their narrow spiritual atmosphere". After twenty years of teaching he retired in 1951, moving to Vancouver BC. Here he soon married Anna Neufeld in 1952 and together they joined First United Mennonite Church in 1953. In this congregation Heinrich was confirmed as a minister, elected as church secretary and wrote the "Chronicle" of the congregation for fifteen years until he resigned in 1970, two years before his death. Heinrich Goerz loved to write poetry and popular history. Many of his poems were published in Der Bote and the Mennonitische Rundschau, and appeared in a self-published collection entitled Gedichte. Goerz also published a little tract of essays entitled: Die Urgemeinde, Die Katholische Kirche und Die Reformation. Goerz's major historical contributions were the three volumes published by the Historische Schriftenreihe des Echo Verlags: Die Molotschnaer Ansiedlung: Entstehung, Entwicklung und Untergang in 1950/51; Memrik: Eine Mennonitische Kolonie in Russland in 1954; and Die Mennonitischen Siedlungen der Krim in 1957. Since then they have been translated into English. He also wrote numerous articles for the Mennonite Encyclopedia. Finally, the Chronicles of First United Mennonite Church, written in impeccable German and English, will be a gold mine for any future history of this congregation. Isaak, Helmut. "Goerz, Heinrich (1890-1972)." Global Anabaptist Mennonite Encyclopedia Online. April 2002. Web. 24 Apr 2019. http://gameo.org/index.php?title=Goerz,_Heinrich_(1890-1972)&oldid=162255. Isaak, Helmut. (April 2002). Goerz, Heinrich (1890-1972). Global Anabaptist Mennonite Encyclopedia Online. Retrieved 24 April 2019, from http://gameo.org/index.php?title=Goerz,_Heinrich_(1890-1972)&oldid=162255. This page was last modified on 25 October 2018, at 19:00.